Stitching on Paper? Leather? Fabric? I don’t really know what to call it. Technically, I believe it is paper. But, apparently it can be machine washed and tumble dried. Call me skeptical. Even so, it is a very fun product to stitch! 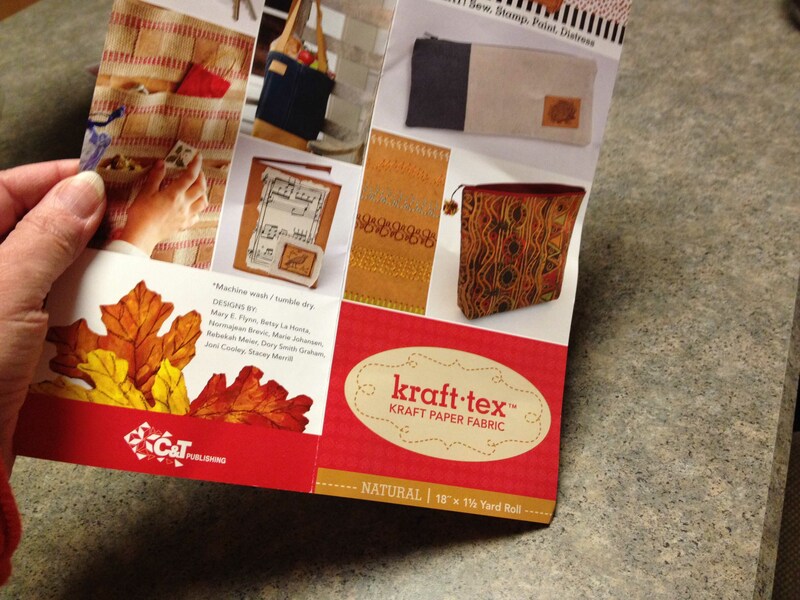 It’s called Kraft-Tex paper fabric. The project is listed on weallsew.com. The description on the packaging is pretty accurate. It DOES look and feel like leather. It’s also a nice warm brown color, that makes everything pop out a bit. I can see using it in a number of different ways. For me, it borders a little more on the “crafty” side of sewing. But I could see it used in collage work, scrapbooking or anything that requires some dimension. 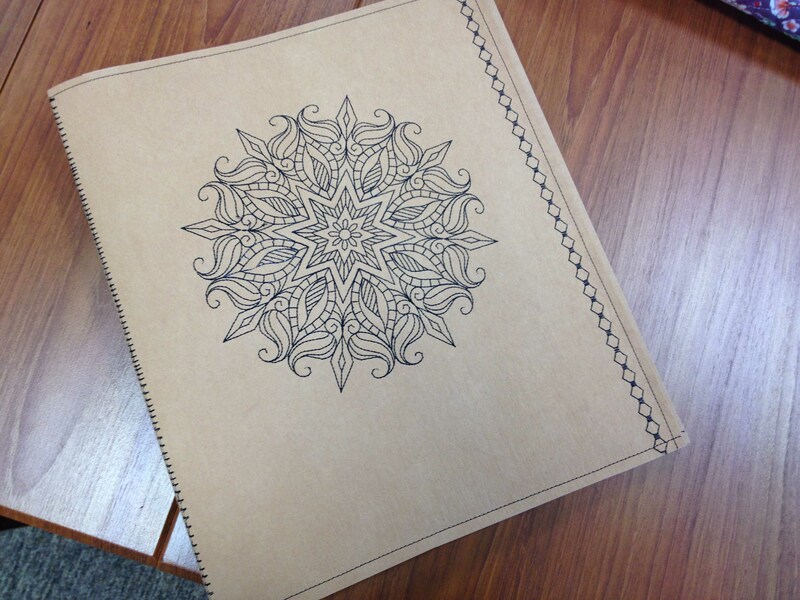 I went ahead and created the binder cover in the pattern. Of course, I used a different embroidery design. Mine is a medallion from urbanthreads.com. The feel of this stuff is pretty hard to describe. It’s not rough, it’s rather soft. Which is why it compares to leather. I have not tried to wash it yet, so that’s an experiment for the future. 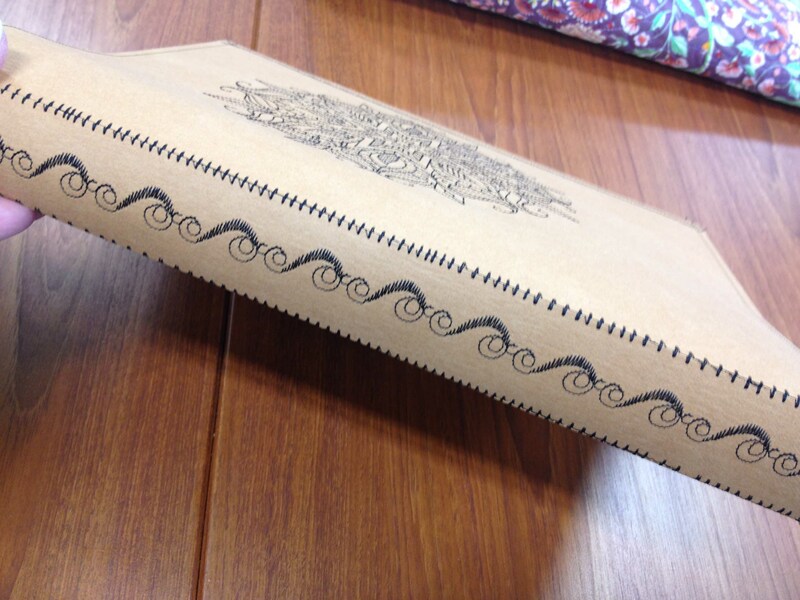 The project went together quite easily and frankly, I was impressed by the quality of the paper/fabric. 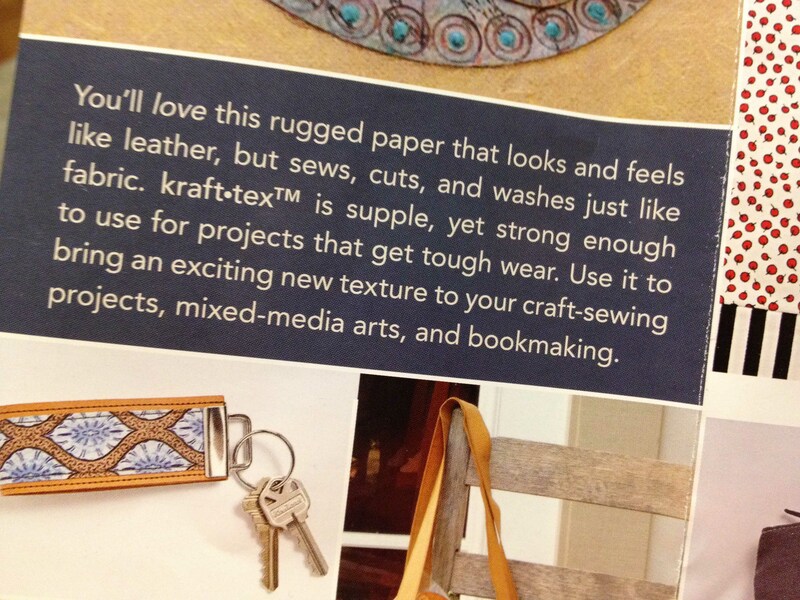 I had never heard of such a thing and it behaves, in my opinion, a little more like paper than fabric. If you are someone who dabbles in multimedia, you’ll want to give this a try. I’d love to use this for painting and drawing and then incorporate sewing into the mix. If only I had more time in a day, and more inspiration in a night. The products are out there. Might as well find out what you can do with them! This entry was posted in Creativity, embroidery, machine embroidery and tagged art, machine embroidery, sewing by edges. Bookmark the permalink.